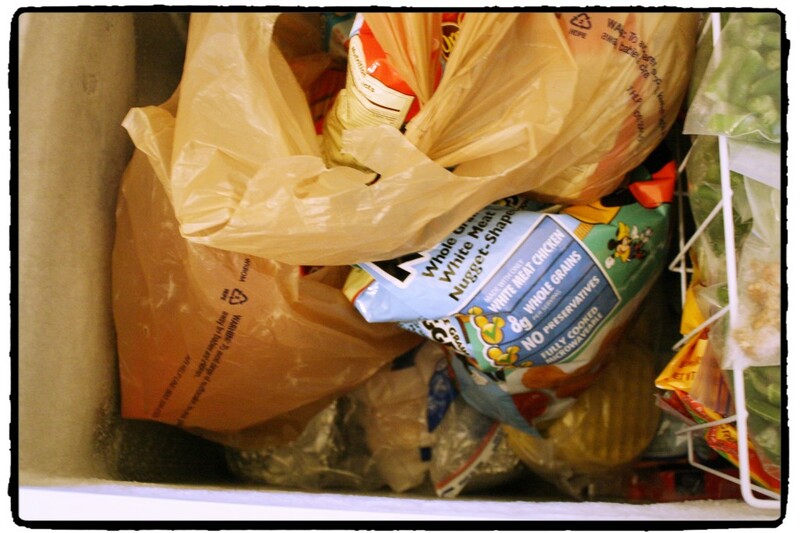 I absolutely love having a chest freezer to store additional frozen foods and the ability to stock up when I need. It has been the best investment that I have ever made. Eventually, I want to move it to the garage when we get it cleaned out. For now, the chest freezer lives in my dining room. When I need to use the dining room, I put a table-cloth over it and use it as a serving area. Freezer hidden! 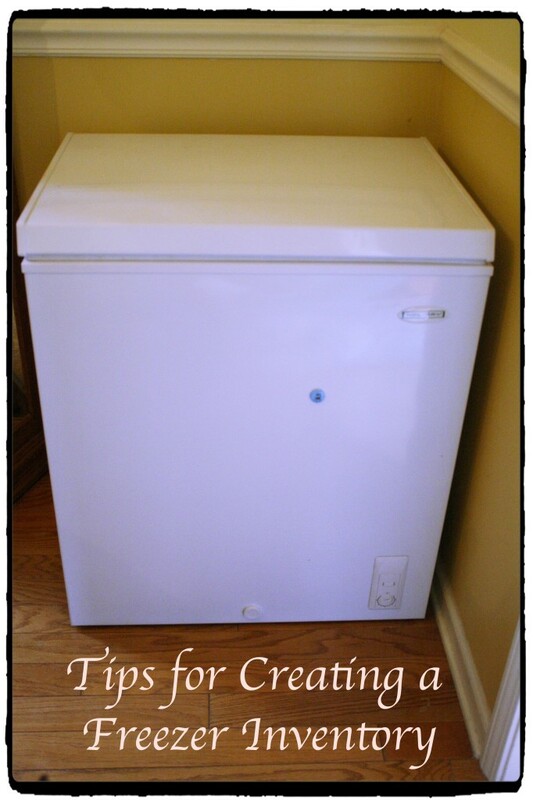 I love my chest freezer so much, I’d love to get a second little one to have two – one for meats and veggies and one for prepared foods and snacks. The only downside is that I often forget what I have in the freezer, because it gets shoved to the bottom of the pile. So, once a month, prior to my Costco run, I do a freezer inventory. This helps me to know what I have and helps me plan for what I will need for the month. Does your chest freezer look like this? I buy all my meat in bulk and freeze it in individual packages. This includes ground beef, ground turkey, pork tenderloin, stew meat, roasts, and chicken breast. Buying in bulk has saved me a lot of money and it allows me the flexibility to whip something up when a meal has gotten pushed or I am in the mood to fix something different. 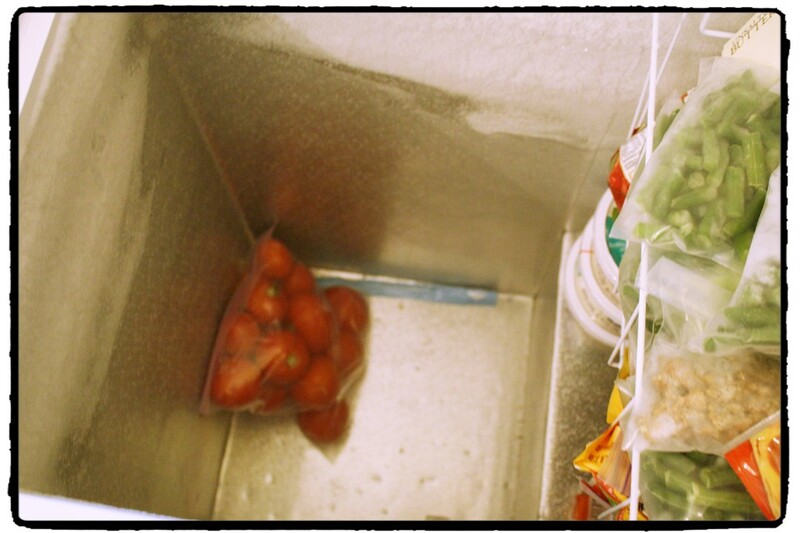 I start by taking everything out of the freezer and placing it on the table or in the floor beside the freezer. This is so I can always find what is hidden at the bottom of the freezer pile. As I’m putting items back in, I think of what I will need to get to first and load the freezer in a way that those items that I am least likely to need will be on the bottom. I also begin taking my inventory on a scratch piece of paper. I then transfer the finalized inventory to my inventory sheet. I use a magnet to hold it on top of the freezer so I know what is in there. I also make a new one when I come home from my Costco run so that I know everything that is in the freezer. As I remove things, I just make the adjustment on the sheet. What usually happens is that somewhere during the month, someone removes an item and doesn’t update the inventory so I will quickly re-inventory at the end of every month. It doesn’t take long – 10 minutes or so. This also works great with my freezer on my refrigerator. It is a side by side and things get lost in that freezer as well. 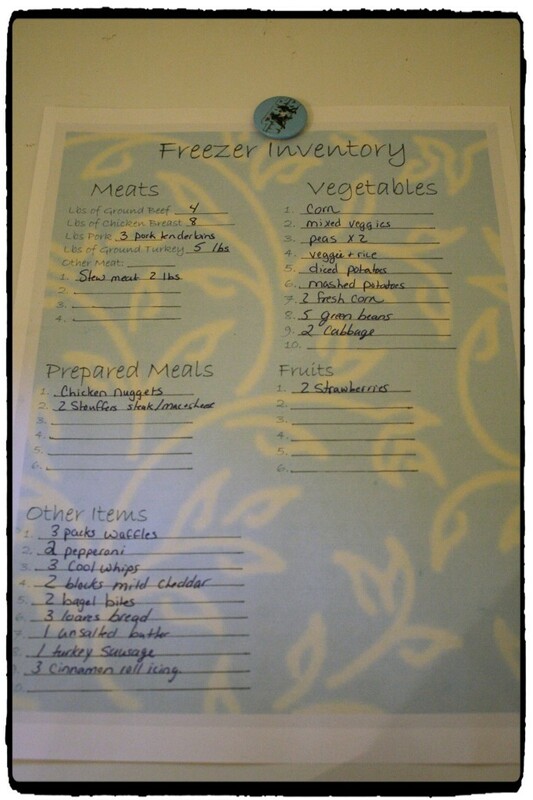 Click below to download your FREE Freezer Inventory Sheet.